Handle has a bead border. 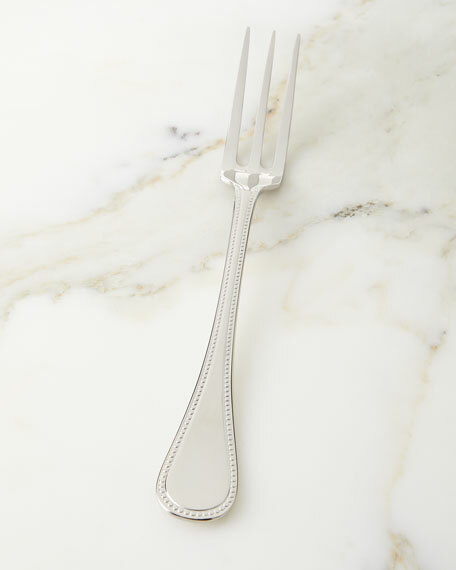 EXCLUSIVELY AT NEIMAN MARCUS Boldly detailed flatware. 18/10 stainless steel. Fluting and finial detailing. Includes two serving spoons (one pierced), serving fork, and butter/serving knife. Dishwasher safe. Imported.